Drugs with an estimated street value of £50,000 have been seized by officers in Carfin, Holytown and Barlanark. Around 11.15am yesterday (Wednesday) officers stopped a car in Bell Quadrant, Carfin, and recovered a small quantity of drugs, believed to be cannabis, from the vehicle. As a result of the stop, officers, acting under warrant, then searched two homes, a house in Wilkie Drive, Holytown, and a flat in Blyth Place, Barlanark, and recovered further drugs, also believed to be cannabis. 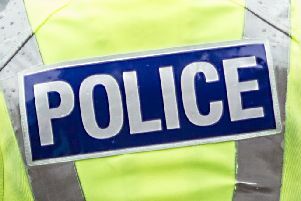 A five figure sum of money was also seized from the house in Holytown. Three men, two aged 22 years and one aged 54 years, and a 21-year-old woman, have been arrested and are presently detained in police custody in connection with the find.